US HTN Guidelines came out strong and EU HTN Guidelines shots just never fell for them leading to an easy win for the US team. Hyperaldo Diagnosis took an early lead and despite strong defense by Hyperaldo Treatment team Diagnosis took the win. Athletes with Kidney Transplant looked a bit like a high school team out playing an NBA team, Athletes on Dialysis had an easy victory. Athletes on Dialysis wins 8-1. 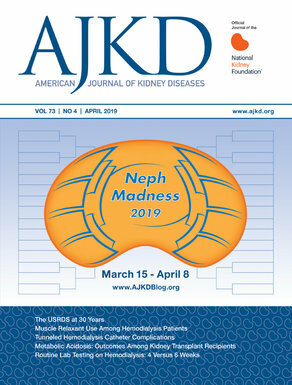 Exercise-Associated Nephrotoxicity and Substance-Associated Nephrotoxicity fought a hard close battle going in to double overtime but team Substance sunk a 3 pointer at the buzzer leading to a 1 point victory. This game was all Perioperative ACE-i, Not sure that PRN Hydralazine even got off the bus, team ACE-i with the easy win. Despite Normal Saline’s salty defensive style, Lactated Ringers couldn’t miss a shot and had the easy win. The free throw line made all the difference in this match up. Opioids couldn’t miss a free throw and NSAIDs got in to foul trouble early leading many free throws, team Opioids with the win. Tramadol came out and dominated the first half but a strong second half by GABAnergics led to a 2-point victory for team GABA. Old School could not keep up with New School’s fast past offense and strong defense. Easy win for New School. Dry on Dialysis dominated the game and team Wet on Dialysis’ shots just weren’t falling for them tonight, easy victory for team Dry. Dry on Dialysis wins 7-2. Bile Casts:Incidental and Bile Casts: Pathologic played a close game, but a last minute layup by team Pathologic led to the victory. Bile Casts: Incidental wins 5-4. Despite the hype going into the big dance for Terlipressin, Norepinephrine came up with the easy win. Light Chains came out and played to win but they just couldn’t keep up with ANCA Vasculitis gritty style. Team ANCA with the easy win. Post-Transplantation seemed likely to win the battle against Pre-transplant, but team Pretransplant came out and showed their grit and determination and pulled out the ‘W’. In the matchup between Acquired C3GN and Genetic C3GN, Acquired pulls off a narrow win over Genetic. Another close matchup pits Eculizumab vs C3-i and Beyond, but team C3-i managed to squeeze through to the next round. Thanks for letting us know! Post has been updated with correction.